Blue lives a charmed life. From her family's townhouse in Richmond, she lives the life of luxury and couldn't want for anything - well, on the surface at least. Everything starts at the "Blue" 21st birthday, her father announces that she is ready to marry, courting with love letters! So Blue will have to deal with their own feelings about the announcement and decide what she really wants. This is not only one story, is the story about three women, totally different between each other, but with their own secrets. Blue, wants to be a writer but her father's announcement could change her life forever. Midge, Blue's stepmother, a quite enigmatic woman that seems to have a big secret hidden from everyone. And then there's Delphine, who has escaped from an abuser husband and starts a friendship with the two women. Together they will have to unravel their secrets and face their fears, but don't worry you'll have a happy ending! 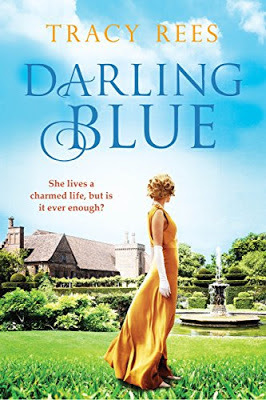 What I liked most about this book was the ambience and how the author totally transported the reader to the 1920s, with beautiful descriptions and quite original characters. I have to admit I don't normally read historical fiction, but this was a nice read, with a surprising twist and some strong women that even if sometimes their actions seem a bit odd they only try to find happiness in their lives. 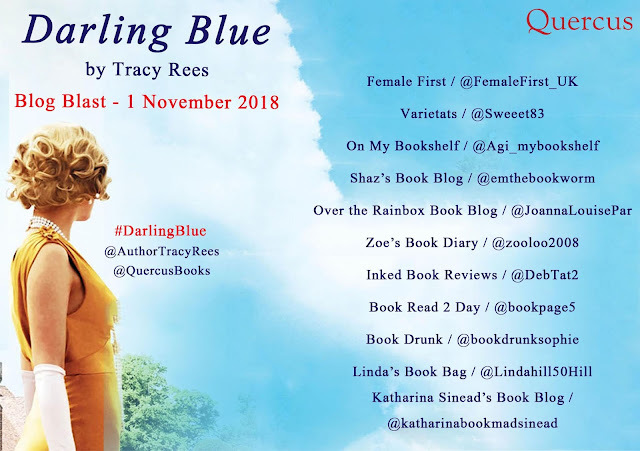 Ready to discover Darling Blue?